HOUSTON (KTRK) -- Police are looking for suspect who robbed a bank inside a northwest Houston grocery store Friday morning. Police say the suspect entered the bank in the 1300 block of West 43rd Street and gave the teller a note demanding money. The teller, in fear for her life, gave the suspect an undisclosed amount of cash. The suspect then left on foot. The suspect is described as a black male, approximately 6'2" tall and medium build. He appeared to be in his mid 20's or around 30 years old. 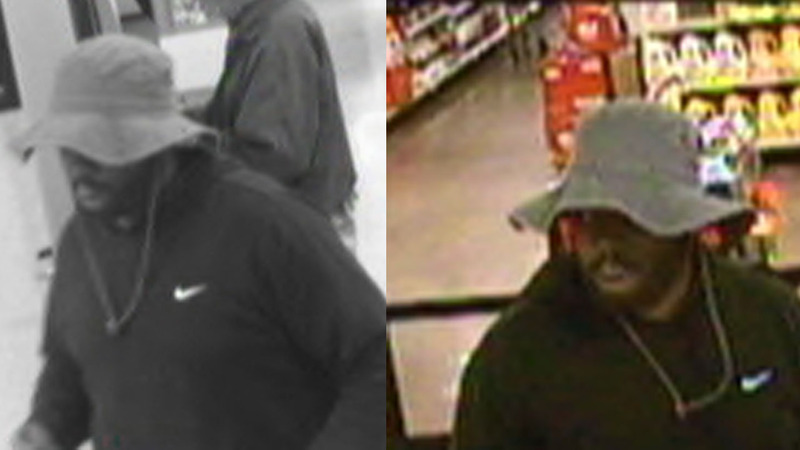 He had a small mustache and was wearing a dull/worn gray fisherman's hat with gray strings, and a dark gray or black Nike hoodie. Anyone who knows this man's identity and/or location should call Crime Stoppers of Houston at 713-222-TIPS. All tipsters remain anonymous.